Sea waves provide interesting scientific and practical research subjects especially because of their nonlinear and random characteristics. When waves enter into the shallow water region where water depth changes and structures exist, they change their forms as a result of various elements such as shoaling, refraction, diffraction, reflection and breaking. In the history of analysis for wave transformation, various mathematical solutions were derived separately for each element. However, combined phenomena had to be treated because those elements occur simultaneously in most of the real situations. Studies in this line were initiated by deriving a wave equation for combined refraction and diffraction of linear periodic waves. Nonlinearity and randomness were major keys to be studied for more realistic and practical solution of the nearshore wave field. After various efforts in theoretical and experimental researches, the accuracy of prediction has improved remarkably. 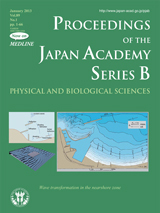 The right figure in the cover shows comparison of the predicted and measured significant wave height and mean direction in Oarai Coast, Ibaraki Prefecture, Japan, as given in the paper of this issue (page 34-50). On this coast, a series of comprehensive field observations was carried out by a research team consisting of six universities and three research organizations under my supervision. Construction of the previous fishing harbor caused accumulation of sand inside and around the harbor, which raised a serious issue. 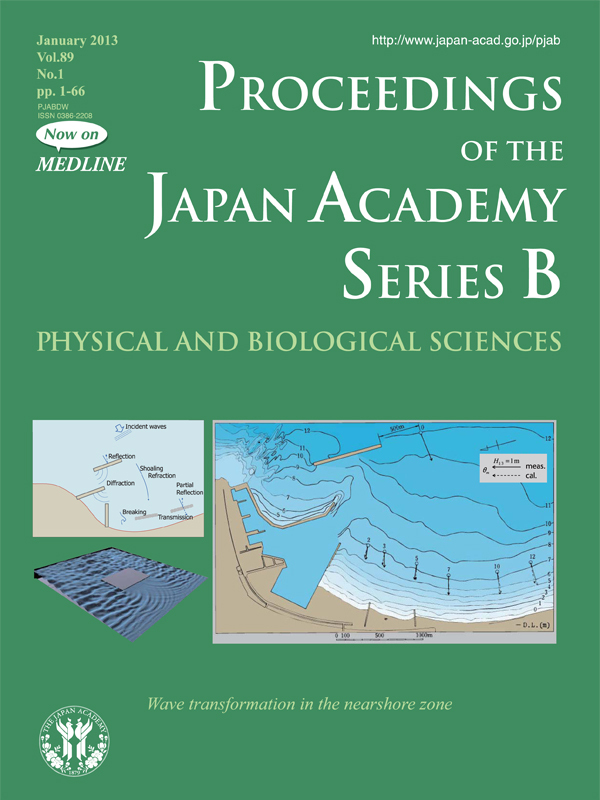 Parallel to conducting its countermeasures, measurement of waves, currents, sand transport and beach topography was done to elucidate the coastal process and develop a numerical model to predict beach topography change. The figure was created as a part of this project.